Providing safe, quality healthcare to our patients is our top priority at Niagara Health, so it’s an incredible honour to be recognized nationally for our achievements in patient safety for our Venous Thromboembolism (VTE) program. 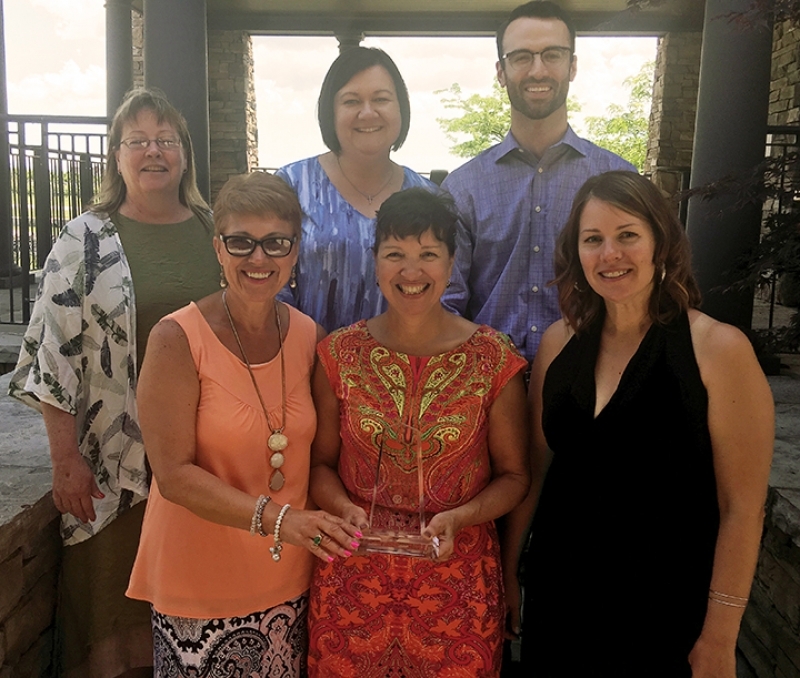 Members of our team accepted the Excellence in Patient Safety Award at a recent Canadian College of Health Leaders event. VTE is the formation of blood clots in the vein. It is one of the most common complications of hospitalization and the most common preventable cause of hospital death. The Niagara Health initiative focused on improving VTE daily risk assessment processes for every admitted patient, and starting preventative treatment if needed. The VTE prophylaxis project is a strong example of a patient safety initiative that has achieved sustainability, scale and spread, by collaborating across all levels of the organization, engaging patients, and following through on implementation and measurement, Ms. Smith said. Several Niagara Health team members are involved in the program’s success and are being recognized for their contributions. They are Debbie Smith, VTE project lead and Clinical Director, Welland Site, Brian Harvey, Quality, Patient Safety and Risk Specialist, Susan Cubelic, Director, Pharmacy Services, Cynthia Sandison, Information and Communications Technology System Administrator, Charge Nurse Barb Gadomski, Thrombosis Nurse Maja Poehlman and Dr. Blair Leonard, Niagara Health regional thrombosis lead. The national award is presented to health organizations that are committed to improving patient safety through leadership, culture, innovation, best practices and change management expertise. The college is a national, member-driven, not-for-profit association dedicated to ensuring that the country’s health system benefits from capable, competent and effective leadership. Through credentialing, training, networking and mentoring, the college supports health leaders in every sector and region, from every professional background and at any stage of their career. Guided by a code of ethics and the LEADS in a Caring Environment national framework, they help individuals acquire the skills they need to create change in their own organizations and, ultimately, the health system. To learn more about the CCHL, please visit their website. Back row, left to right, Cynthia Sandison, Information and Communications Technology System Administrator; Susan Cubelic, Director, Pharmacy Services; Brian Harvey, Quality, Patient Safety and Risk Specialist. Absent from photo: Dr. Blair Leonard.